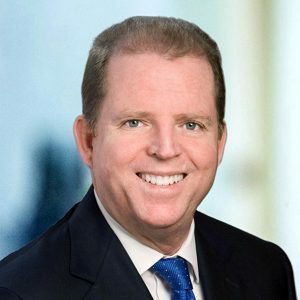 William R. O’Donnell joined DeSimone in 1990 and has headed the firm’s Miami office since then. His extensive experience includes hospitality, gaming, healthcare, transportation renovation, residential and infrastructure. Mr. O’Donnell is currently leading the Miami office efforts on the $2 billion expansion of facilities for the Seminole Tribe of Florida. This work addresses multiple facilities which include a 3 million sf Hard Rock Hollywood expansion that creates a 1,000 guest room tower, an exotic arrival experience, a casino expansion, a conference center, retail and dining outlets, a central plant and various infrastructure. The Tampa Hard Rock will also be expanded. This work involves 3 million sf and includes a 1,000 room tower situated above a podium that accommodates gaming, retail and dining outlets, back-of-house and an elevated pool deck. Smaller expansions to the Coconut Creek and Immokalee facilities are also addressed in the effort. Mr. O’Donnell recently completed Phase III of Atlantis on Paradise Island in the Bahamas. This $600 million phase added two towers, a large arrival building, a conference center that includes the largest ballroom in the Caribbean, a new 30,000 sf spa, a casino, a nightclub expansion and various site work. Mr. O’Donnell and the Miami office have worked with Kerzner International, continuously since the first phase of Atlantis in 1994. Mr. O’Donnell also has directed the Miami office on a multitude of high-rise projects including Marquis, 900 Biscayne, Met 1, Epic, Four Midtown, 1080 Brickell, Mosaic, One Bal Harbour, The Plaza at Harbor Island and Parkshore Plaza. His experience also includes such notable projects as the recently inaugurated $230 million South Terminal Expansion for Miami International Airport, the 6-star Mandarin Oriental on Brickell Key, the $120 million, 5-star Portofino Bay Resort at Universal Studios, the $250 million Our Lucaya Beach Resort on Grand Bahama Island, as well as several large facilities for Jackson Memorial Hospital and hurricane hardening of Miami Children’s Hospital. Mr. O’Donnell received both his Bachelor degree and Masters degree in Structural Engineering from the University of Miami. Actively involved in the Miami community, he currently is the Chairman of the Youth Program at the Miami Rowing Club. Mr. O’Donnell and his wife have chaired the Ball of the Wild, Miami MetroZoo’s premiere annual fundraising event. He has also served the community in his role as a board member of the Miami Supportive Housing Corporation, a non-profit organization which develops, improves, and preserves affordable housing for low income persons and families with special needs.